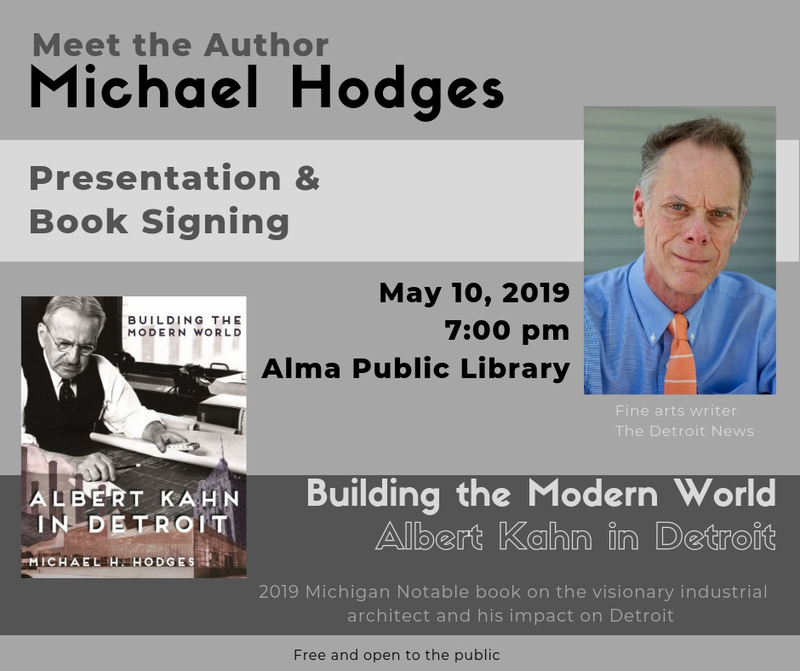 The Alma Public Library will host Michael H. Hodges, author of “Building the Modern World: Albert Kahn in Detroit” on Friday, May 10, 2019 at 7:00 pm at the Library. The event is free and open to the public. Hodges will speak about industrial architect Albert Kahn, a giant in Detroit’s heroic age, the visionary who invented the humane “daylight factories” that helped birth both modern manufacturing and modern architecture. In his lecture and slideshow, the author, a Detroit News reporter, will review Kahn’s local legacy, his vigorous defense of Diego Rivera’s Detroit Industry murals against attack, and his role helping the Soviets beat the Nazis in 1941-42. After the presentation Hodges will be available to answer questions and sign books, available for purchase, along with Detroit architecture postcards. Refreshments will be provided. Our 2019 Summer Reading Program kicks off on June 18! Click here for more info. Read books and talk about what you've read with others? Read something different from what you usually read? Join us for a discussion of this month's book! 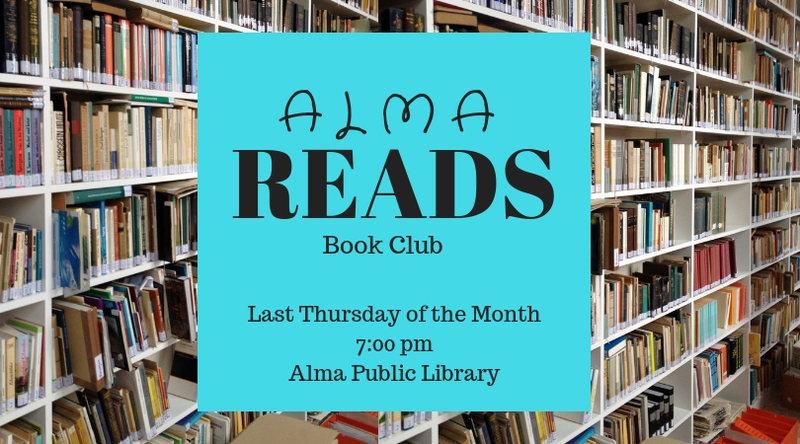 Alma READS is a book discussion group that meets the last Thursday of each month at 7:00 PM at the Alma Public Library. New members welcome anytime. 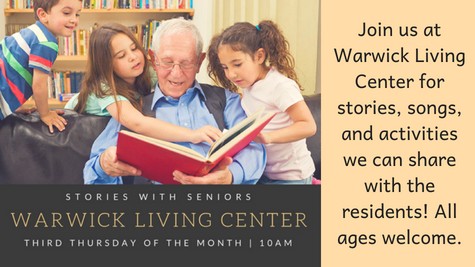 For more information contact the library at 989-463-3966. The group reads fiction from various genres, either classic works or newer, as well as non-fiction. Book selections and discussions are made by the group, facilitated by Library staff. Books can generally be found in the library's collection, through MeL interlibrary loan, or in the Overdrive e-book/audiobook collection. 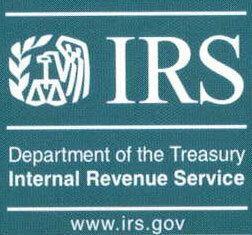 If you need assistance finding a copy of a book, ask library staff at the circulation desk or call 989-463-3966. Read e-books and listen to audiobooks in the FuelYourMind Digital Collection via OverDrive, brought to you by our membership in the White Pine Library Cooperative. To borrow books, click on the e-book icon on our website (or click on the image above). 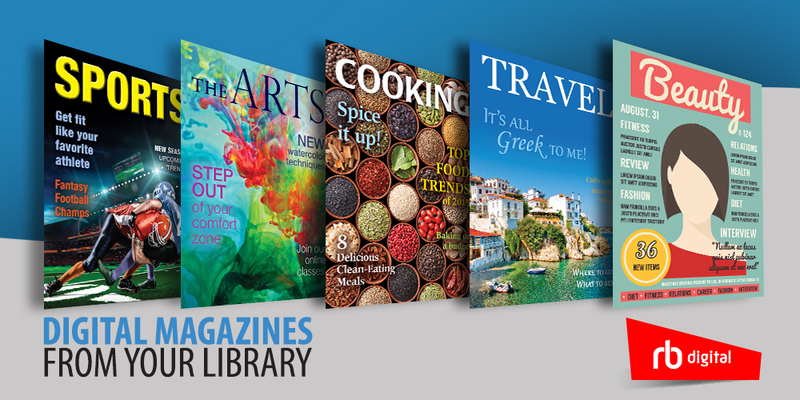 Validate with your library card and pin (the last 4 digits of your library card number) then borrow books and read immediately on a computer, e-reader, smartphone or tablet with the OverDrive app. Questions? Ask at the Library front desk and we can help! 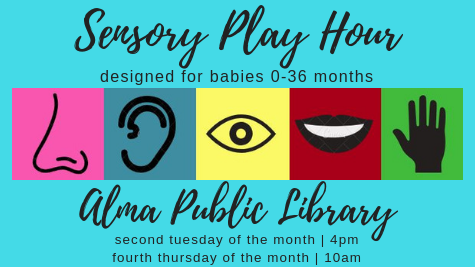 Please see more information on our "Library Events" page!